In order to be able to successfully in running IT As a Service, we need to have a complete solution that resolves around monitoring of health state of service, tracking and remediation of issues &amp;amp; pain points in the services and how we can automate these process to make to address this issue consistently. In this session, we will demonstrate how SCOM, Service Manager and Opalis work together to deliver an integrated monitoring and response solution across the System Center Suite. 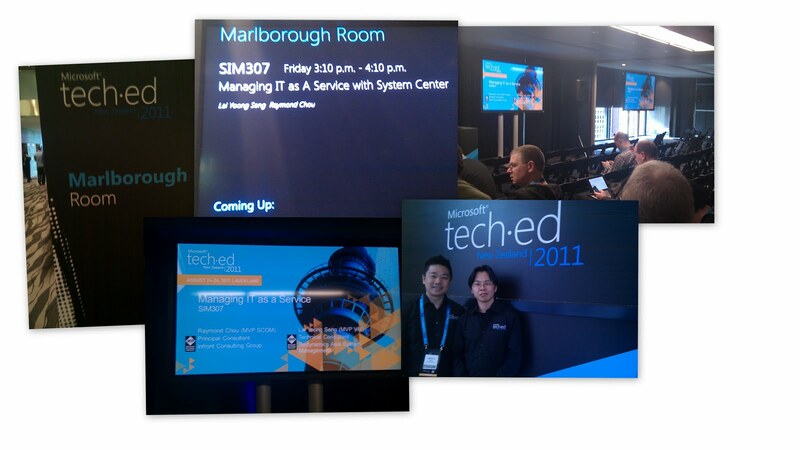 Today is the last session for Raymond Chou (MVP SCOM) and I presented on a session: Managing IT as A Service with System Center. Hope you enjoy the slide and the session recording. SIM307-Managing IT as A Service with System Center from Yoong Seng Lai on Vimeo.